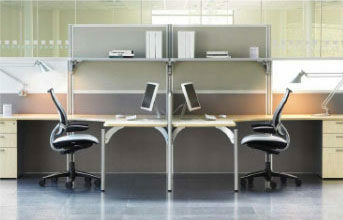 Our Partners range is the practical and customisable solution to your office furniture requirements. Combining style with functionality, it’s designed with your needs in mind. 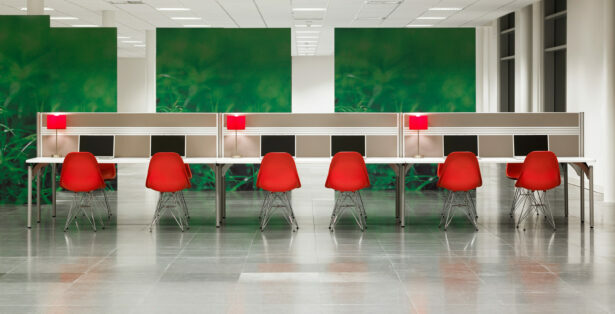 This unassuming, highly versatile range combines choice and functionality. We take a small number of ultra-functional yet stylish components and build them in to one outstanding range. Partners also offers you a wide range of finishes and sizes and has been designed with the needs of modern office working-life in mind. Flexibility is the hallmark of this range and our use of innovative and adaptive support brackets and multifunctional posts illustrate this with confidence and clarity. If required, you can extend above the worktops to support screens, tool-rails or overhead storage. The in-built cable management system accommodates even the most complex of electric and communications wiring with ease. With no dedicated under-frames, the Partners system can adapt to different shapes and sizes, ensuring suitability for both open plan and cellular layouts. And if you do need to change your office layout, the shared components can be easily reconfigured and the small number of parts can be replaced individually. Fixed glides or heavy-duty castors can be fitted to individual pieces to guarantee complete mobility. At Farrell Furniture, we have left no stone unturned with Partners. From the light-weight screen tiles that offer varying levels of light and privacy to the wide range of finish options, it represents a smart investment in a proven range. 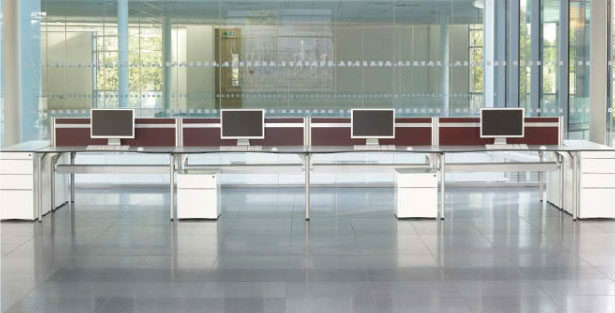 In a fast-paced office environment, you need a complete, reactive furniture solution that gives you real flexibility and enhances working life for you and your colleagues.